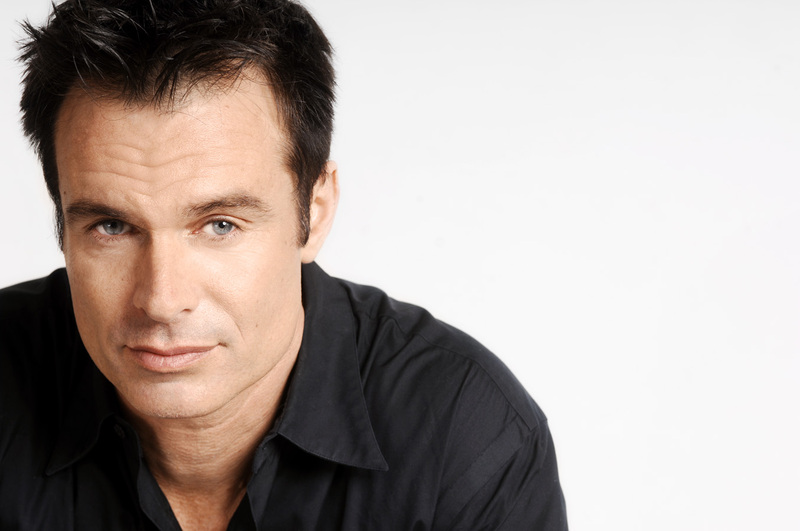 American actor Patrick Muldoon, is one of the lesser-known ones. He manages to keep away from the media as much as he can, but don’t get fooled, Muldoon has been in Hollywood for over 2 decades. He is best known for being the first actor ever to play the role of Austin Reed, on one of America’s most popular sitcom Days of Our Lives, a role he returned to in 2011 after a 16-year hiatus. In recent years, Muldoon has become a staple of the Lifetime and Hallmark channels. Muldoon was born as William Patrick Muldoon III on September 27, 1968, in Los Angeles, California, USA to Deanna and William Patrick Muldoon II. His mom worked as a homemaker while his dad was a personal injury lawyer. On his mother’s side, Patrick is of Croatian descent while on his father’s side, he has Irish roots. Though Patrik’s nationality is American, he never hesitates to identify with his Irish roots anytime he gets the chance. He is an avid supporter of MMA fighter Conor McGregor who hails from Ireland. Growing up, Pat loved many things among them, football, music and everything else that involved artistry. He attended Los Angeles’ Loyola High School after which he proceeded to the University of Southern California. At USC, Patrick played college football for the school’s team USC Trojans football team, playing as a tight end. He was also a member of the Sigma Chi fraternity. With looks that caused many ladies to swoon, Patrick sought a career in modeling while still in college. He signed with Wilhelmina Modeling agency and it wasn’t long until big names like Calvin Klein came calling. Simultaneously, Pat began auditioning for film roles and scored small parts on TV shows like Who’s the Boss?, Saved by the Bell, and Silk Stalkings. Muldoon’s big break came just after two years in the industry when he scored the part of Austin Reed on Days of Our Lives, years have passed and that role remains his signature role. Pat portrayed the part for three consecutive years earning a Soap Opera Digest Award for best new actor. He departed the show in 1995 to play the part of Richard Hart in Melrose Place and also seek film roles. Fulfilling the latter, Pat scored a part in the science-fiction action film, Starship Troopers (1997). For the years that would come, Patrick became an indie-film mainstay while also appearing in quite a number of TV shows and TV films. On the music side of things, Muldoon is the lead and guitarist for the rock band The Sleeping Masses who in 2010 released a music video for their single, “The Woman Is the Way.” Muldoon continues to stick to indie/TV films which he takes time to promote across his social media page. One of his most recent gigs is Bernie the Dolphin (2018). Patrick Muldoon stands at 6 feet 2 inches tall (1.88 m). It’s true that Patrick Muldoon can’t boast of having lots of blockbusters on his resume, but that doesn’t mean that he is doing badly, financially. His indie films and according to his Instagram page, “a bunch of other stuff” he does have helped to propel him to the millionaire class. Patrick Muldoon’s net worth is estimated to be in the tune of $1.5 million. No! Patrick Muldoon has never been married ever before. Well, not that the media is aware of. And He is also NOT gay! As always the case when an actor portrays a gay role, fans become overly curious about their real-life sexuality and for Muldoon the case was no different. Speculations that he might be gay began to rise when news hit the media that he would be playing one half of a gay couple to wed in the Joshua Tunick film “For Better or for Worse.” That was in 2008 and the film was released two years later in 2010. As of when the gay role was announced, Muldoon was said to be dating Eve Mauro. Before then, Muldoon had been linked with a handful of women from Tori Spelling to Denise Richards, and Stacy Sanches. Among all, his relationship with Denise Richards was the most known. It began around 1998 when they officially stepped out as a couple during the premiere of the Nicole Kidman film, Eyes Wide Shut. However, the relationship didn’t last long as Richards would later marry funnyman Charlie Sheen in 2002. Their union lasted until 2006 when they got a divorce. Eight years after her divorce, in 2012, Patrick and Denise were said to have rekindled their romance after they were spotted out on a date. Three years later, they starred together in the romantic TV film A Christmas Reunion (2015). Despite the news that they were back together, neither party gave any confirmation to the media. They were later linked with other people. Muldoon to actress Juliette Binoche.